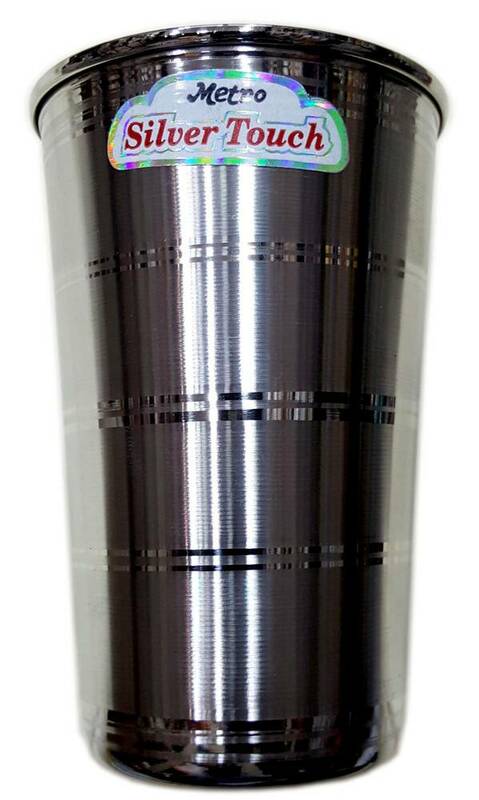 Set of two Stainless Steel drinking cups. 4 inches high. Can be used for deity offering cups and devotee prasadam cups. Currently viewing: Set of 2 Water Cups - Stainless Steel - 4"